In addition to reading, I also like to browse and read the occasional magazine. This summer my favourite has been Canadian Living. I'm obsessed and get super excited every time this gets delivered to my mailbox! There's a wealth of ideas for recipes, makeup, fashion, crafts, DIYs etc... These magazines have everything I love and more. Seeing that summer is almost coming to an end, I'm excited to see what they have in store for the Fall months. 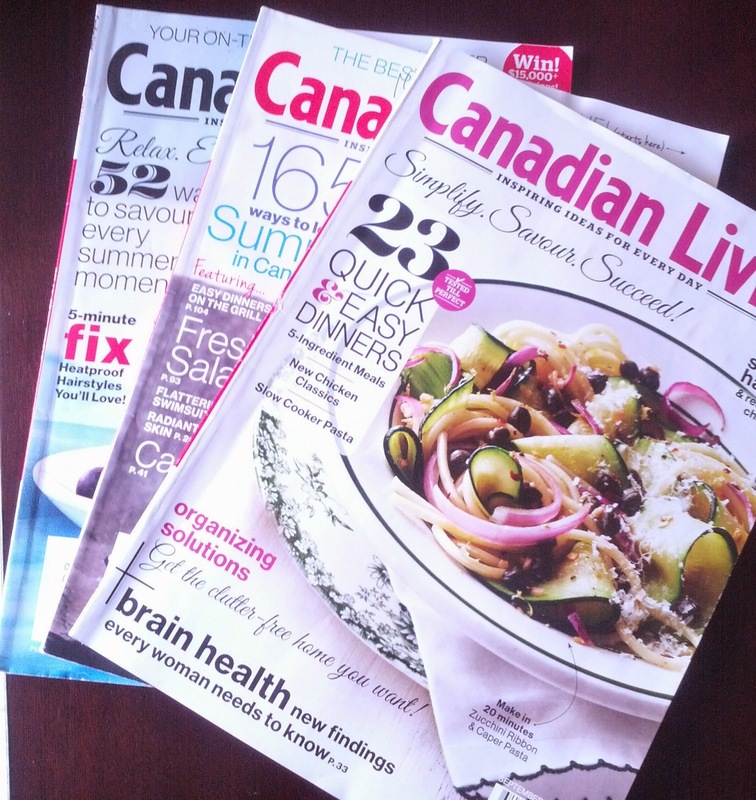 These are also great magazines for when your travelling to the beach, cottage or wherever! PSL (Pumpkin Spice Latte) is BACK!